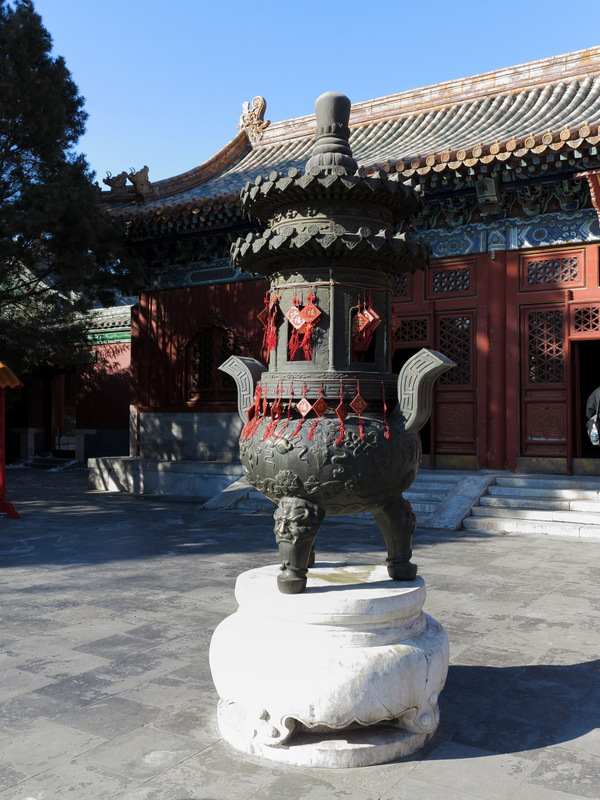 Northwest of the Forbidden City lies an imperial garden dating back to the 11th Century. This is the 171-acre/68-hectar Beihai Park, our China Spree destination after the Forbidden City and our rickshaw ride to lunch. As always our guide Jim Mao was ever helpful in pointing out the sights and areas of interest. 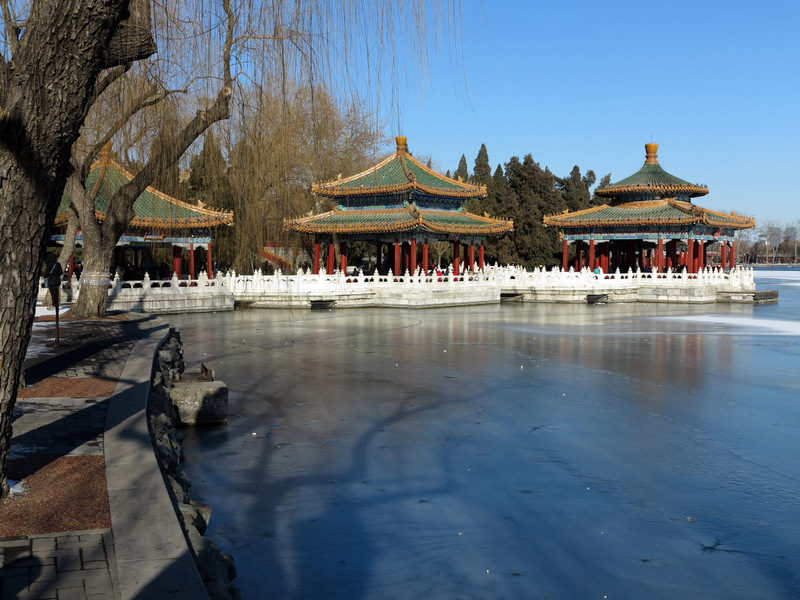 Nearly half Beihai Park is taken up by a large lake. In the center of that lake is Qionghua Island, atop of which sits the famous White Dagoba, a Buddhist stupa built during the Ming Dynasty (1368-1644). 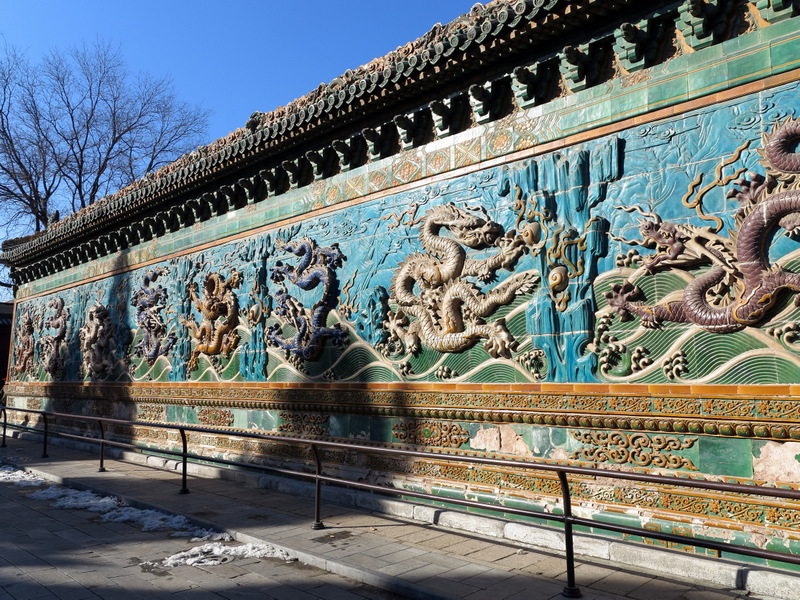 One of the first sights upon entering the park from the north is the colorful and impressive Nine-Dragon Wall built in 1756. This wall is made of bricks glazed in seven different color. It measures nearly 88 feet (27 meters) in length and stands nearly 16 feet (5 meters) high. 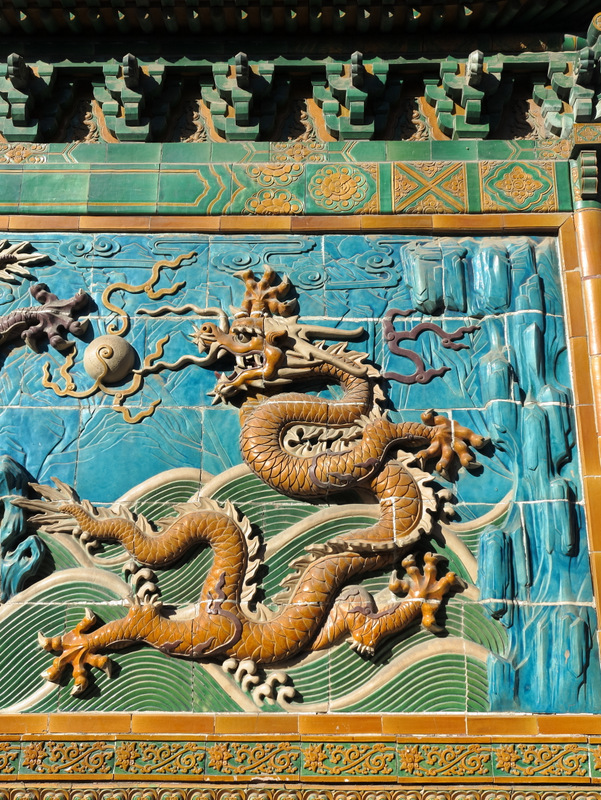 Each of the nine playful dragons is depicted cavorting in the clouds while playing with a pearl. 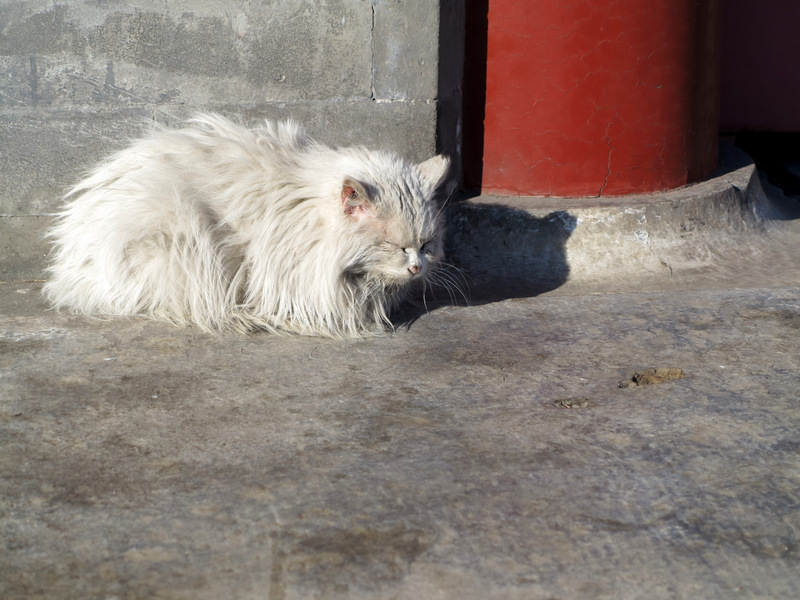 It appears that the mythical dragon has quite a place in Chinese culture. 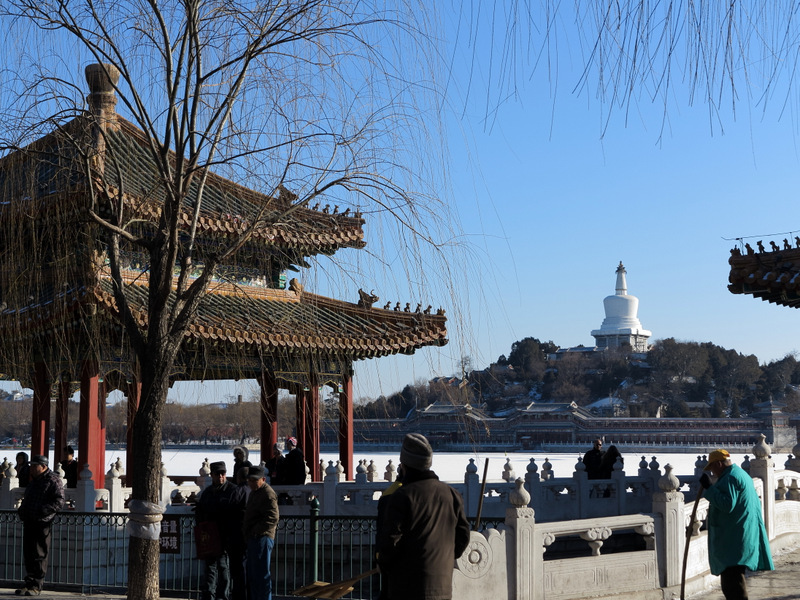 Most of our time in Beihai Park was spent along the north shore of the lake. As you travel around this portion of the lake you’ll stumble across some really great photo opportunities. 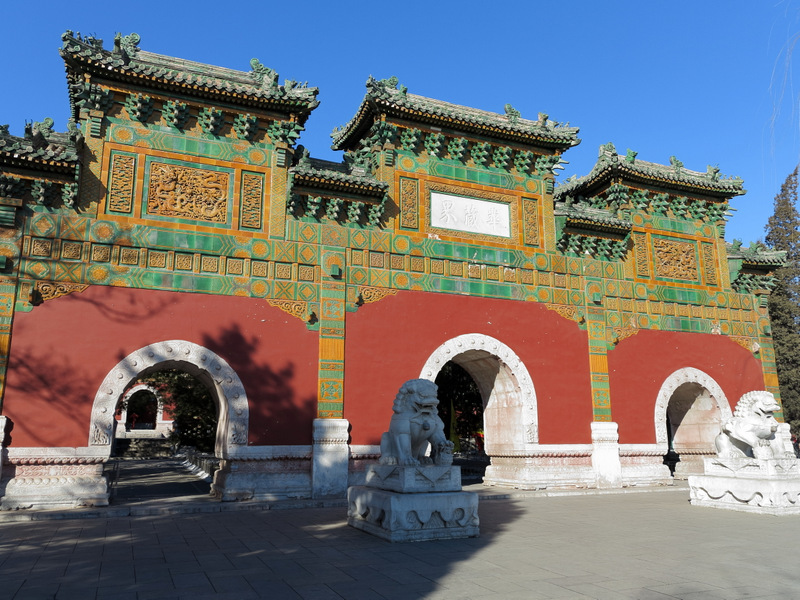 One of the more colorful sights in this area is the Five-Dragon Pavilions — a set of five pavilions interconnected by a series of stone zigzag bridges. The bridges form a V-shape, so two are hidden from view in the photograph below. The largest of the five pavilions is the middle one (on the right side of the photo), and it’s the only one with a round roof peak. 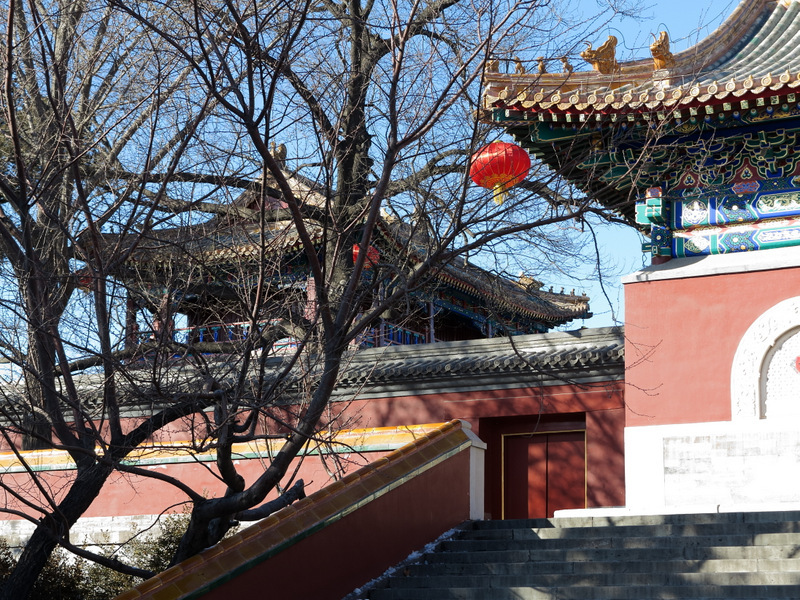 Photographically Beihai Park is definitely worth the stop. I’ll have more on this imperial garden on Wednesday, and it’ll also be the subject of Fun Photo Friday. Took a party of students round here about 1998. Sir Ben Ainslie was one of them! Brings it all back. Thanks for liking my posts. 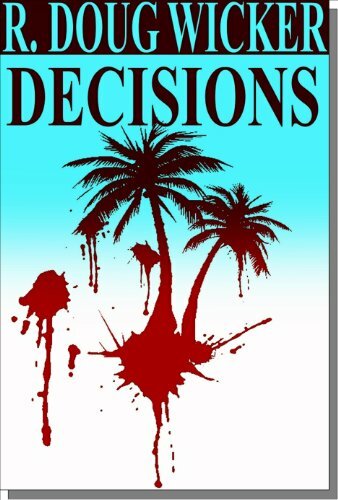 So glad you found fond memories buried within my article and photographs, Candia. Thanks for dropping by and leaving a comment.